The G-8 may be no more as the G-7 throws every possible case of harsh language known to man at the Kremlin, which obstinately refuses to back down, while re-escalating sanctions against a Russia which merely has done what the US does every single time its national interest abroad is threatened, but one thing is becoming ever clearer: while the west isolates Russia with ever stricter measures, Russia has decided to make some new friends. 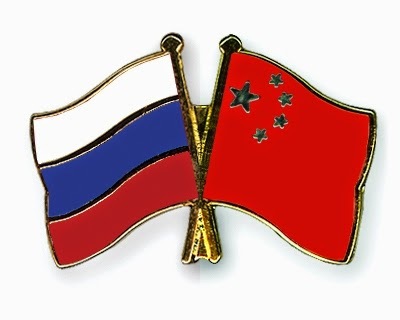 China and Russia will hold a "maritime cooperation-2014" drill in East China Sea at end-May, Voice of Russia reports on its Chinese-language website yesterday. China and Russia will conduct reconnaissance in the area within 3 days to prepare for the drill, the report says, citing an unidentified representative from Russian navy. Earlier, the Russian military delegation of the Russian Navy, led by Viktor Karamazov Couchepi, arrived in Shanghai. Naval officials and representatives of the General Command of the Pacific Fleet met the Russian military delegation. Iran and Russia are negotiating a power deal worth up to $10 billion in the face of increasing US financial alienation. The construction of new thermal and hydroelectric plants and a transmission network are in the works. Iran’s Energy Minister Hamid Chitchian met his Russian counterpart Aleksandr Novak in Tehran on Sunday in order to discuss the potential power deals, according to Iran’s Mehr news agency. “[Expansion of] Iran-Russia relations are not only to the benefit of the two nations, but also are beneficial to entire region,” Iranian President, Hassan Rouhani, stated in a meeting with Novak in Tehran on Sunday, reported Iran’s FARS news agency. Plans include the construction of hydroelectric and thermal generating plants and a new transmission network. The possibility of Russia exporting 500 megawatts of electricity to Iran is also on the cards, said Mehr. The strengthening of economic ties between the two countries is of heightened significance given both economic sanctions on Iran, imposed with the aim of encouraging Iran to cut its uranium stockpiles, and new economic sanctions on Russian officials imposed on Monday. 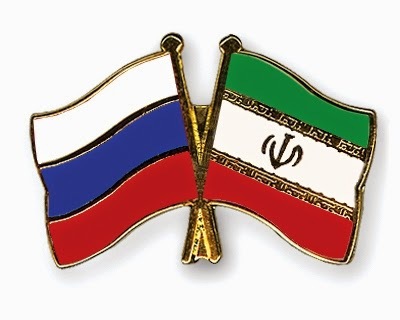 On Sunday, Chitchian reportedly stressed “the need for further expansion of economic ties between Tehran and Moscow, particularly in the energy and commerce spheres,” stated Mehr. Moscow has additionally been discussing the trade of 500,000 barrels a day of Iranian oil for Russian goods with Tehran. The protracted deal, first reported at the beginning of April could be worth as much as $20 billion, and has rattled Washington because it could bring Iran's crude exports above one million barrels a day - the threshold agreed upon in the nuclear deal between the P5+1 powers - US, Britain, France, China, Russia and Germany – and Iran. 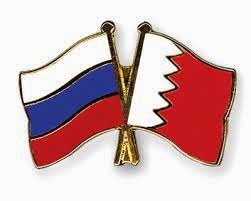 The governments of Bahrain and Russia have signed a deal to cooperate on investments, at a time when U.S. and European governments are imposing economic sanctions on Russia over the crisis in Ukraine. Bahrain is a U.S. diplomatic ally in the Gulf, and its decision suggests Western sanctions may not deter other countries from continuing to expand business ties with Russia. In a statement on Tuesday, the Russian Direct Investment Fund (RDIF) said it had signed a memorandum of understanding with Bahraini sovereign wealth fund Mumtalakat to identify and work together on investment opportunities in their countries. Mumtalakat chief executive Mahmood al-Kooheji will join the RDIF's international advisory board, helping to formulate its strategic direction, the statement added. The Bahraini fund is one of the smaller sovereign funds in the Gulf, with $7.1 billion of assets as of last September. The RDIF is a $10 billion fund created by Russia's government to make equity investments, mainly in the Russian economy. Reuters reported that Russia’s Duma voted to write off roughly $10 billion worth of the debt that North Korea owes Moscow from the days of the Soviet Union. The vote ratified an agreement made in September 2012, after a meeting between then-President Dmitry Medvedev and then-North Korean leader Kim Jong-il in Siberia in the summer of 2011. At the time the agreement was first announced, The Guardian reported, citing Russia’s Finance Minister Sergei Storchak, that Moscow would forgive “90% of the debt and reinvest $1bn as part of a debt-for-aid plan to develop energy, health care and educational projects in North Korea.” Russian experts hailed the agreement as a sign that North Korea’s leadership was looking to initiate market style reforms in the reclusive country. 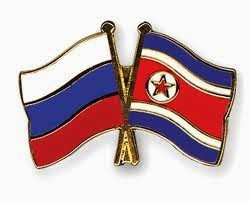 The Reuters report from this weekend said the deal ratified by the Duma on Friday would leave North Korea with about $1.09 billion worth of debt to Russia. North Korea would pay off that amount in six-month installations over the next twenty years. It also summarized Storchak as saying that the money Pyongyang pays back would be reinvested into North Korea. North Korea was a strong ally of the Soviet Union during the Cold War, and Russia has forgiven the debt incurred by other Soviet allies like Cuba. However, the decision to forgive Pyongyang’s Soviet-era debt is most likely geared toward trying to bolster Russia’s plans to build a gas pipeline from its Sakhalin Island fields to South Korea via the North. The pipeline, which would also be accompanied by a railway, would reportedly carry 10 billion cubic meters of gas to South Korea annually. The gas would come from Russia’s state-owned energy company, Gazprom. Moscow has been pushing for the Korean gas pipeline and railway for years as part of its strategy to diversify its energy markets away from Europe and toward Asia. This general goal has gained new urgency in the wake of Russia’s clash with the West over the Ukraine and Crimea. The plan got a boost from Seoul over the weekend when South Korea’s Unification Ministry announced on Sunday that it had approved a trip to Pyongyang by Choi Yeon-hye, the president and CEO of the Korea Railroad Corp. Choi will lead a South Korean delegation to the Organization for Co-Operation between Railways (OSJD) meeting in the North Korean capital scheduled for April 24-28. Chinese and Russian rail officials will also be at the meeting, according to South Korean media outlets. If nothing else, at least it shows just how seriously the rest of the world (away from those G-7 members who are as insolvent as the US of course) is taking US sanctions and threats of retaliation. Meanwhile, back in the US, rigged stocks hit intraday highs on what we would otherwise call BTFWWWIIID... if only there was a D.